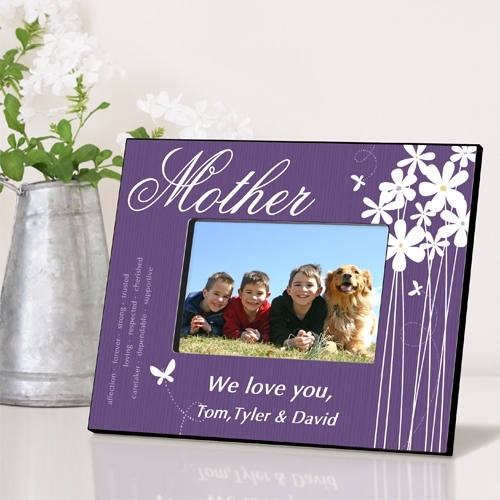 * Our perky purple personalized Bloomin' Butterfly picture frame offers a whimsical look at Mother Nature, decorated with white blossoms and busy butterflies. 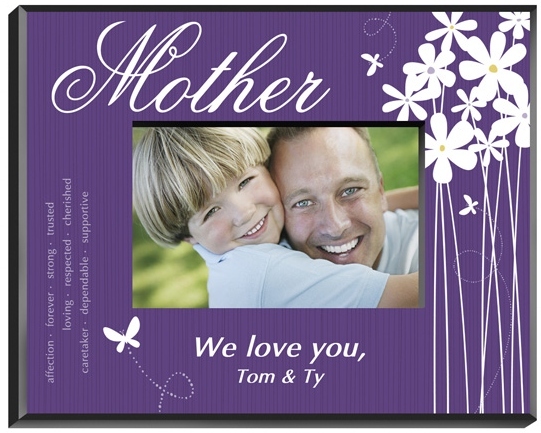 * Words of endearment tell that special someone just how much you care and there's plenty of room to include a personal note for that much-loved friend or family member. 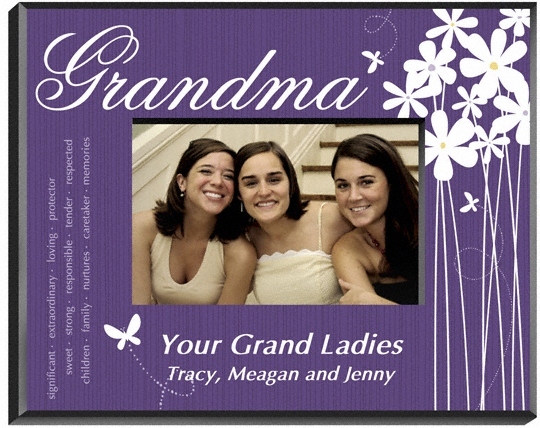 * A feminine look makes this a great gift for Mother's Day! 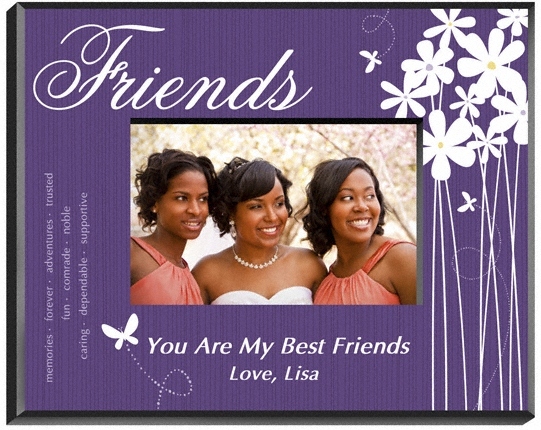 * Frame holds a 4" x 6" picture. 10" x 8" x 0.75"